Update: this deal is running again this week! If you held off buying an Xbox One X at launch, then feel free to give yourself a pat on the back as there's a sweet deal going today on the world's most powerful 4K console. 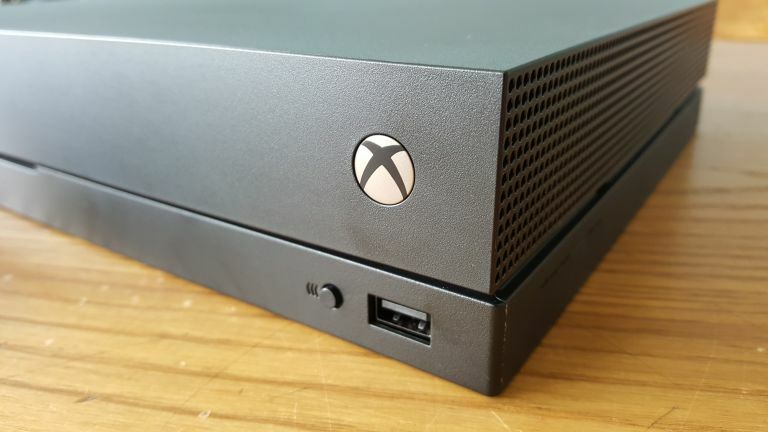 We've just uncovered the lowest Xbox One X price yet. This is the lowest price we've seen the Xbox One X go for from any UK retailer. The £50 discount makes this more attractive than many of the bundles out there as their discounts struggle to match the one here. This Xbox One X deal is especially handy for existing Xbox One gamers who just want the upgraded console without being forced to buy extra games with it. Ready to dive into the world of 4K gaming with HDR too? Well, we'd seriously advise doing so on a 4K TV. You're really not seeing enough graphical improvement to justify the cost of the console if you're playing on a regular 1080p or 720p HD TV. If you're looking for some advice on what TVs are worth a look, we've put together a few guides below which should put you on the right path whatever your budget may be.